Product prices and availability are accurate as of 2019-04-23 07:41:25 UTC and are subject to change. Any price and availability information displayed on http://www.amazon.com/ at the time of purchase will apply to the purchase of this product. Muse magazine is a children's magazine aimed at kids between the ages of nine and fourteen who love to learn about new things. The magazine delights children with stimulating images, articles on space, information on genetics, and more. It is sponsored by the Smithsonian, so you can be sure your child will be getting solid information. 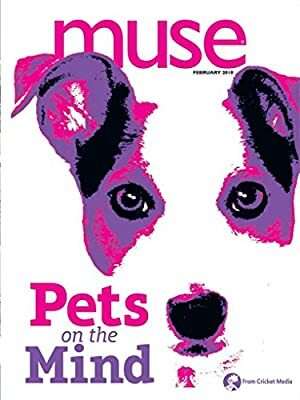 Muse magazine has articles about just about anything your child could want to know about the world. If your child likes to learn about physics, math, or earth sciences, there are full-page articles about scientists, mathematicians, problem solving, and the way the planet works, so they will be more educated than ever. The magazine is great for children of either gender, and it is written in a way that allows kids to easily read and understand the text. The readings are designed to challenge the minds of young readers, so your child will be able to learn and develop critical thinking skills. With beautiful imagery from rain forests, the universe, and more, your child can see what the world and space offer. Stimulate your child's imagination and taste for knowledge with this magazine, which answers almost any question he could ask. Whether your child is interested in genetics and why he has freckles or the visual arts and color palettes, Muse magazine will provide the answers and interesting facts about the subjects that will delight. Curious children will enjoy reading the varied articles, and the interesting variety of topics helps introduce different things to young minds.